Highlight your promotion with these branded giveaways! Highlighters are must-haves for office workers, students and more. Easily highlight or underline important texts so they’re easy to find. And this highlighter comes in a variety of translucent neon colors to choose from for easy note color coordinating. The highlighter color matches the barrel and cap so you always know what color you’re reaching for. 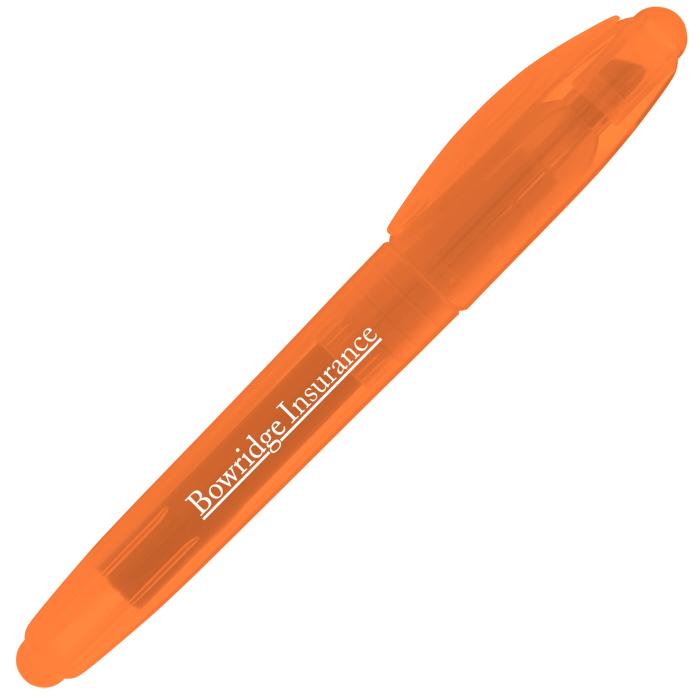 These highlighters pack a punch and are great giveaways at tradeshows, expos and career fairs! Your price includes a one color imprint on the barrel. Ready to ship in : 2 business days *.